The following is an approximate timeline of for a straight-forward, no-asset, Chapter 7 bankruptcy case. 1. 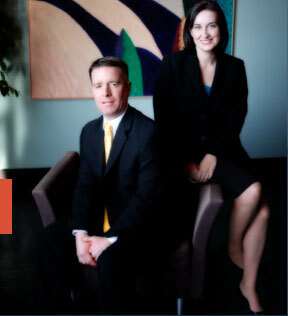 Meet with an experienced St. Louis bankruptcy lawyer for a free consultation to discuss your situation. Be prepared to discuss your income, debts, and assets. 2. Hire a competent St. Louis chapter 7 lawyer and prepare the documents necessary for your case to be filed. You will likely need to fill out a packet of information regarding your assets, debts, and financial situation over the past few years. You will need to provide proof of income for the six months prior to filing, as well as tax returns, and other financial statements. 3. The bankruptcy lawyer will prepare extensive paperwork, including a Chapter 7 bankruptcy petition, schedules, statement of financial affairs, and a means test. 4. You will need to review this paperwork to make sure it is truthful and accurate. You will sign these schedules and statements under penalty of perjury. 5. The bankruptcy lawyer will file your case with the bankruptcy court. Filing is done electronically so you will instantly have a case number which will be used to stop harassing creditor calls, and remove garnishments, among other things. 6. The bankruptcy lawyer and the court will send notices to your creditors regarding the filing of your case. Creditors are stayed from taking action against you in an attempt to collect a debt. 7. In approximately one month, you will be required to appear at your 341 Meeting of Creditors. At this meeting, the Trustee, and any creditors that may appear, will ask you questions regarding the paperwork that was filed on your behalf. 8. The bankruptcy court is required to hold your case open for a period of time, approximately three months, to allow creditors a chance to file any objections to discharge. You will find this date on the notice of commencement mailed to you by the bankruptcy court. 9. After the deadline for objection to discharge passes, the bankruptcy court will enter an order of discharge. This order will be mailed to your creditors. 10. Shortly after discharge is entered, your Chapter 7 bankruptcy case will be closed. Congratulations on your fresh start. Remember, every case is different so be sure to talk with your St. Louis Chapter 7 bankruptcy lawyer regarding the details and timing of your specific bankruptcy case.